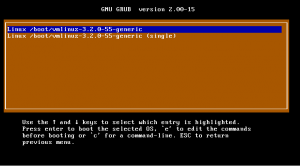 I am proud to announce Super Grub2 Disk 2.00s2 stable. The former Super Grub2 Disk stable release was 1.98s1 version and released on October 2010 (more than three years ago). So as you might guess this release has many new features and supports more Operating Systems to boot. Basically apart from custom kernels from university students Super Grub2 Disk can autodetect and boot most every Operating System. Some examples are written here so that Google bots can see it and also to make more confident the final user who searchs his own special (according to him) Operating System. New Everything option that lets you find all your Operating Systems in your computer. Sleep after menu entries which print to the screen. This way you can read what these options say. Now Super Grub2 Disk is built for different Target + Platform combinations. Currently is based on binary Debian packages from testing. Added options to force floppy and / or cdrom search globally. The reason is that now floppy and cdrom search are ignored by default. Added support for chainloading EFI files. Added new option ‘CFG – Extract entries option. This makes easier to workaround grub configuration files with zero seconds timeouts. Added Exit menu so that you can halt or reboot your machine. Added a dummy grub.cfg so that it loads main.cfg. That makes easier to reuse Super Grub2 Disk in multi OS devices. Added French translation. Thank you goes to Daniel_KM. 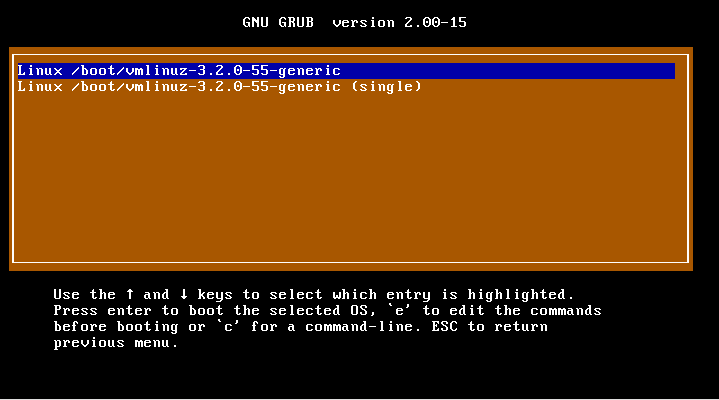 Most Super Grub2 Disk options were rewritten as libraries to make development easier and have a consistent UI. Add new vmtest script to ease testing of new code. Vmtest is a bash script which will generate an SG2D iso, configure it to take input from and output to serial, then test it using kvm with kvm’s -nographic option. Added new AFD boot technology. SG2D scripts were rewritten from LUA language to new grub scripting language. The last four years I have been focused on bTactic, the enterprise where I work and also in Rescatux. On february or march of this year (2014) I decided to release an stable Rescatux release. But this stable Rescatux release did not make sense without an stable Super Grub2 Disk base. Another fact was that the newest stable Super Grub2 Disk was very old. More than this Jordan Uggla, which was very active two years ago seemed not very active lately. So… there was an actual need for releasing stable Super Grub2 Disk. One thing that I have liked about this recent Super Grub2 Disk development apart from upstream Grub2 improvements is the many people that have contributed to it. Usually I was developing Super Grub2 Disk alone with the great help of Jordan Uggla which deals with upstream Grub2 and testing (he did the vmtest script) much better than I. But now a few people have come around helping in various ways. Sometimes it was about testing EFI (bfree), sometimes it was about fixing FreeBSD (nox) which I don’t use myself so I cannot test it. And finally there was Smx which focused on Mac OS X / Darwin boot entries and testing but that promises a lot because in his own supergrub2 repo he has added some new features: beautify disk / partition menu and keyboard layout menu. So to all of you, even if you are already mentioned in Hall of fame: Thank you! I still check old Super Grub Disk for new features. One I would like to implement is the hard disk live swap although it’s only useful for old computers. But I won’t probably implement it. keyboard layout menu (so that you can write a french, spanish, or whatever keyboard layout in grub shell). Another apparent great feature is using Grub 2.02 capabilities for releasing a floppy image that fits into a floppy (not like the current ones that are floppy compatible but as you know there aren’t 12 MB size floppies). I have even thought about adding a bunch of Linux kernels (and initrd) into Super Grub2 Disk so that you even boot into your system even when you don’t have a kernel, but I’m not sure about this move. It would be interesting also to apply into Distrowatch because now Super Grub2 Disk would have not only a Grub kernel but also a Linux kernel… but you know, having a Linux kernel and just using it to boot another distribution I don’t think it applies as a distribution to be listed on Distrowatch :). What I don’t plan to support at all is secure boot. As I have said the stable Super Grub2 Disk release was only a mere excuse for releasing an stable Rescatux release. Now I’m thinking about not making stable 0.31 based on Razor-qt and trying to use LXQT instead. So to release an 0.32. Not sure what I’m going to do. I think it’s going to depend on third party razor-qt ppa status. Anyways I’m quite busy at work so you won’t probably see neither a Super Grub2 Disk nor a Rescatux release in the next months.